I've finally managed to deal with some of my own backlog. 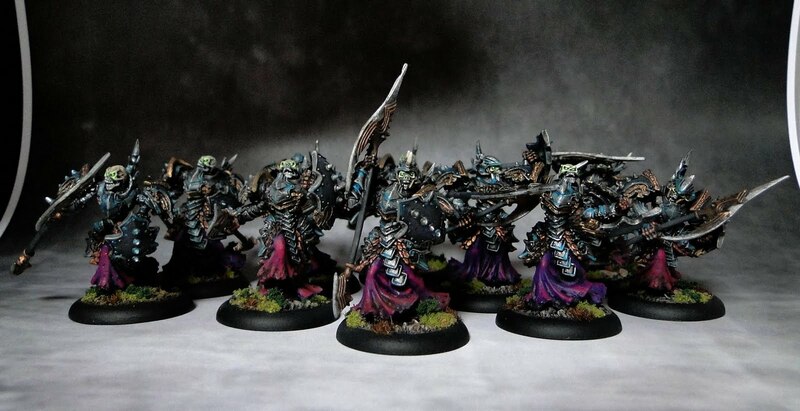 I've painted the remaining four bane thralls which means that the unit is now complete. I wanted to give them a cohesive look that would combine metallics with purple (a color of choice for my Cryx army - I'm trying to add a touch of it, at least to the units). I basically speed painted them as I only want a solid tabletop quality for my units, otherwise it would take ages to paint them all. I really like the sculpts, the fact that they are all multi part means that there's great potential for alternative poses. I tried to give each of them a slightly different pose. Still, my favorite part has to be the skull, I like the brow-like thingy around their eyes, gives them a kind of demonic look (of course in the WM-tongue-in-cheek way). 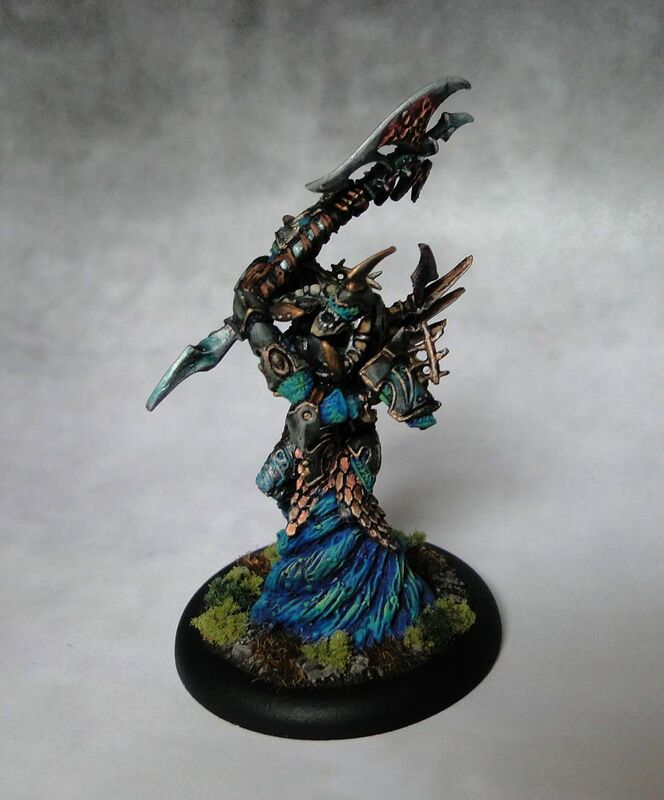 So, here's my first complete WM unit. Bane Lord Tartarus was a challenge. First of all, the sculpt. Lots of parts that needed to be glued in a position that made painting some of the areas of his armor a bit tricky. Before painting I quickly checked for some background information on the model. This sometimes helps, at least it can give some inspiration. In this case it turned out to be a good idea. As a human, Tartarus was known as Horfar Grimmr, a powerful Molgur chieftain who suffered an agonizingly slow (one month of "purifying" tortures) death that was supposed to remove the taint from his soul. 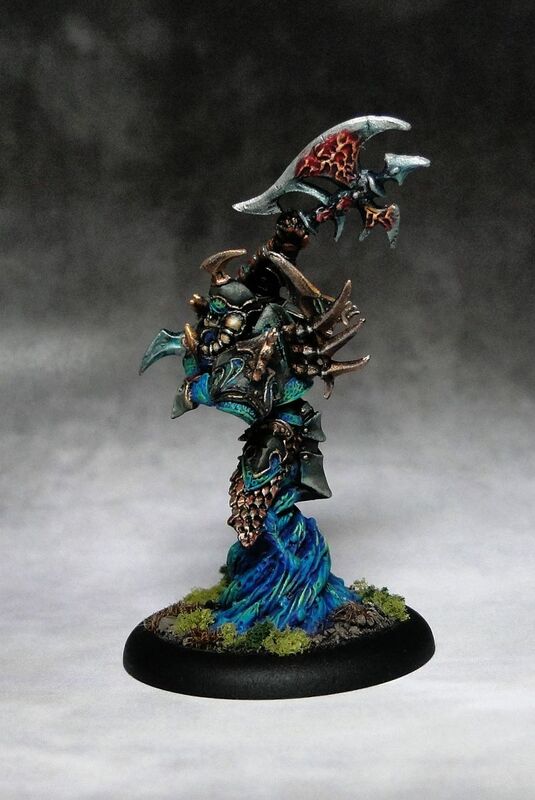 His tormented soul wandered in the shadows for centuries to be retrieved by the lich lord Tenobrous who joined with remains of some of the defeated warrior-kings. Together with a rune-inscribed armor and the unholy axe Rivender, he became a force to be reckoned with. His most impressive skill is the ability to travel easily between the human and the spirit realm. This story is nicely reflected in the game as he can turn killed warrior into a grunt in his Bane unit. With Reach, Weapon Master and special attack (Thresher), he is able to wreak havoc in the enemy lines (at least before he's taken down since he's not too tough...). Now I have another batch of the Easterlings waiting for me. Archers, cavalry and two banners. I think I'll end up finishing them in January as the last days of December will probably be quite busy. 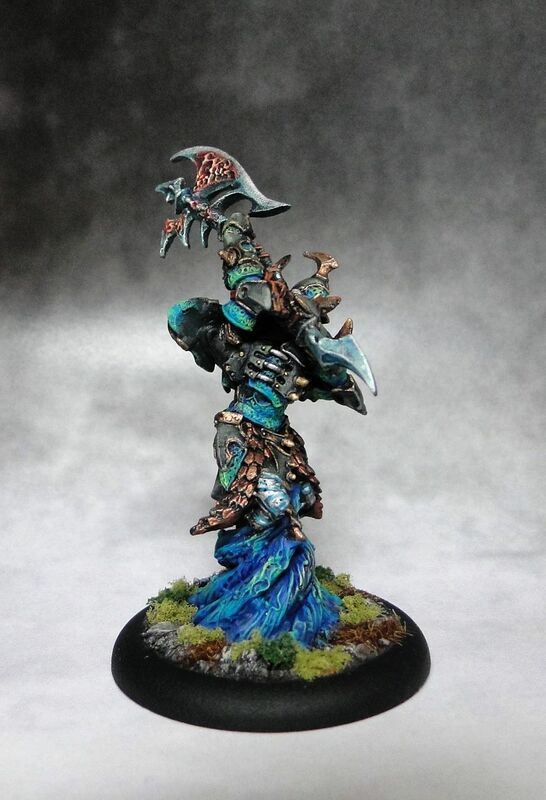 Dude, Tartarus came out awesome. 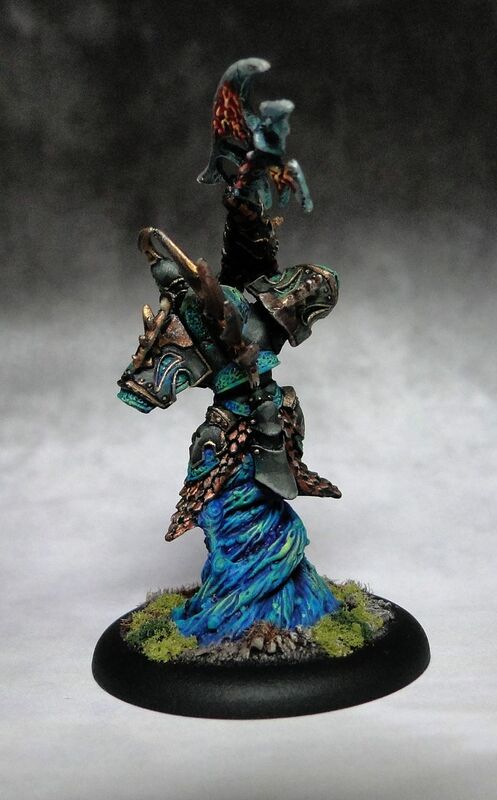 I'm jealous of your painting skills :P. Your entire Cryx army is just wonderful. I look forward to seeing the additions to it! And Arch Enemy rocks too :D.
Thanks for the comment :) I've just checked out your blog - some cool stuff there too.